Providing students with illustrative diagrams showing relationships among key concepts to be discussed in a lecture can boost student learning and recall, especially for students who have difficulty organizing bits and pieces of related information into a cohesive mental framework, suggests a new study from psychologists at Washington University in St. Louis. 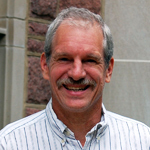 “Teachers need to understand that providing supportive material in advance can make a big difference in helping students grasp and lock in key concepts presented in a lecture,” said study co-author Mark McDaniel, PhD, a professor of psychology in Arts & Sciences and co-director of the university’s Center for Integrative Research on Cognition, Learning, and Education. Mark McDaniel is a professor of psychology in Arts & Sciences at Washington University in St. Louis. Published in the June issue of the Journal of Applied Research in Memory and Cognition, the study’s lead author is Dung Bui, PhD, a recent graduate of the psychology doctoral program at Washington University. The findings show how success in learning can be linked to important individual differences in how our minds process information — differences that educators should consider, McDaniel said. In this study, 144 college undergraduates with no mechanical experience listened to spoken explanations of how key components of an automobile braking system work together to slow a car. 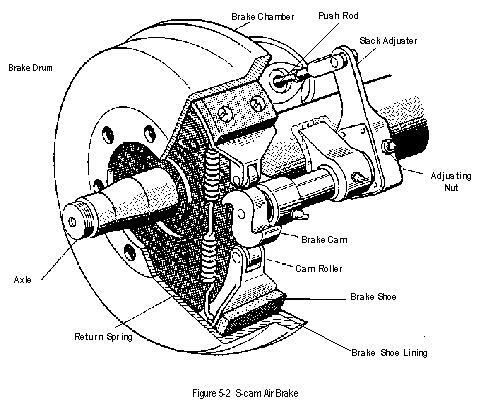 Participants were divided into three groups, with some getting a blank sheet of notepaper, some getting bare-bones text outlines describing key concepts, and others getting more detailed overviews with embedded diagrams showing how brake shoes, drums and other parts fit together to complete the braking system. Dung Bui, PhD, a recent graduate of the psychology doctoral program at Washington University. Skilled structure builders are adept at building preliminary mental frameworks for organizing information as it’s being presented and then layering other information on that foundation when it’s deemed to be relevant, McDaniel said. Unlike common reading comprehension tests in which participants may refer back to material presented in a written text, participants in the Bui and McDaniel study were limited to what they could glean from the material as presented in the lecture, forcing them to rely on their initial mental constructions to answer subsequent questions. 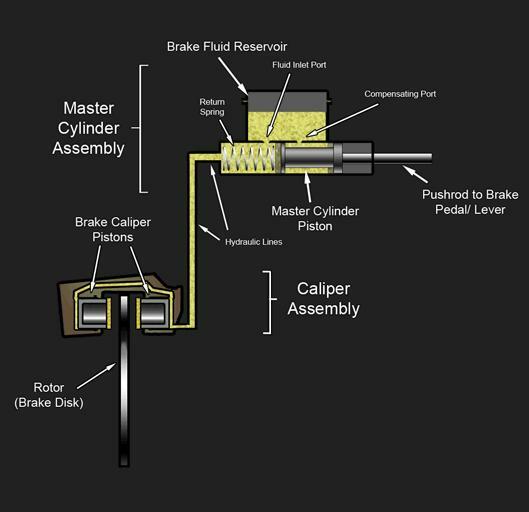 Even simple diagrams, such as this schematic of the working parts of a brake system, can help students construct a mental framework of how something works, whether that be a mechanical device, as in this example, or a more abstract concept, such as the firings of neurons in a brain network, researchers suggest. Credit: Wikipedia / Creative Commons; Public Domain. Not surprisingly, participants who rated high on structure-building skills needed less support from outlines and diagrams. While high structure builders appeared capable of building mental models on their own, even they performed better on recall and problem-solving tests when provided with outlines or visual diagrams. Low structure builders, on the other hand, needed every bit of advance support they could get. While simple text outlines provided during notetaking didn’t do much to improve their scores, those who received handouts with diagrams did much better on post-presentation problem-solving tests. Both high and low structure builders took fewer notes when presented with supporting material, but the notes they took were of better quality and focused more on connecting ideas as opposed to verbatim transcription, the study found. Much research has shown that trying to write down every word in a lecture is a poor learning strategy because notetakers often focus mindlessly on capturing individual words and miss the meaning behind them. Notetakers who use this strategy usually don’t perform well when asked to freely recall content from the lecture, McDaniel said. McDaniel is now testing these findings in college classrooms. Preliminary work suggests students with low structure-building skills are the ones who struggle most in classes based around large lecture-hall presentations. Some educational experts argue that spoon-feeding students with detailed pre-lecture outlines inhibits learning because students are not as challenged and focused on the material as it’s presented. Learning is stronger when it’s hard, they suggest. Others contend that learning is inherently hard and that it’s a mistake to make it harder by intentionally overworking scarce cognitive resources. McDaniel said there’s research to support both arguments. He suggests the make-it-hard school may make sense for learners with high structure-building skills, since developing complex mental models comes easier to them and added rigor may help them retain more for the long haul. But for students who have difficulty constructing mental frameworks, making the lecture experience harder may simply result in a lot less learning, he said. Why do we see individual differences in structure-building abilities? Some suspect that low structure builders have trouble sorting out what information is important to the model and what is extraneous. Others suggest a level of prior knowledge is necessary to effectively build a mental framework on the fly; that you need some grasp of the context to begin putting the pieces in order.